Evergreen shrub. 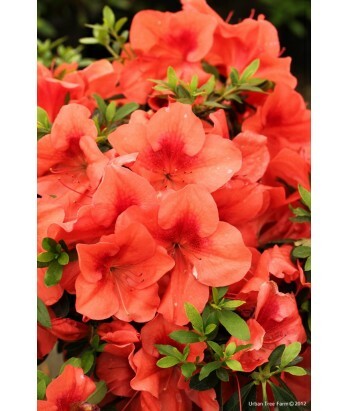 A hybrid variety azalea with full, green leaves. Ruffled, single blooms in Spring are intense orange. Happiest with morning sun and filtered afternoon sun. Regular water needs in well-drained soil once established.